When an Amazon princess leaves her island home to explore the world, she becomes the greatest of its female Super Heroes-DC Comics Wonder Woman! 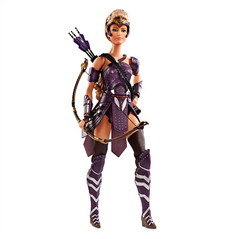 Inspired by the first-ever Live-Action Wonder Woman feature film, this Barbie Antiope Doll is sculpted and costumed like the movie character. 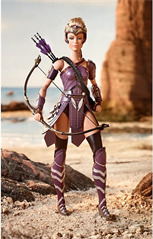 - A must have for any Wonder Woman fan! 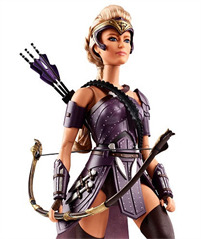 Antiope is Wonder Woman's Savvy Auntie! 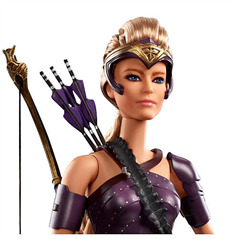 General Antiope gave her niece Diana all the training she needed to become Wonder Woman! Sometimes, we like to call her "Auntie Ope" but we're not sure what the other fans may say, so let's keep that between us, kay?